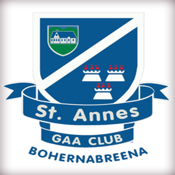 Official St Annes GAA app. 'LIVE' Club fixtures, results, tables and news direct from Dublin Co. Board. Keep up-to-date with all the latest on the go! All data is accurate and official. This fantastic new service from Dublin County Board uses powerful fixtures software from Sports Manager - as a match result is returned by a Match Official the app is updated instantly! Select your 'Favourite Club Competitions' to view fixtures, results and tables for your favourite team. Allows quick easy look up - no searching through lists of matches for your club results.